Instead of vodka, Kirschwasser, and strawberry liquor we've filled a heavy highball vase with Stargazer Lilies, Circus Roses and protea. This warm colored piece is sure to leave you with sweet dreams! 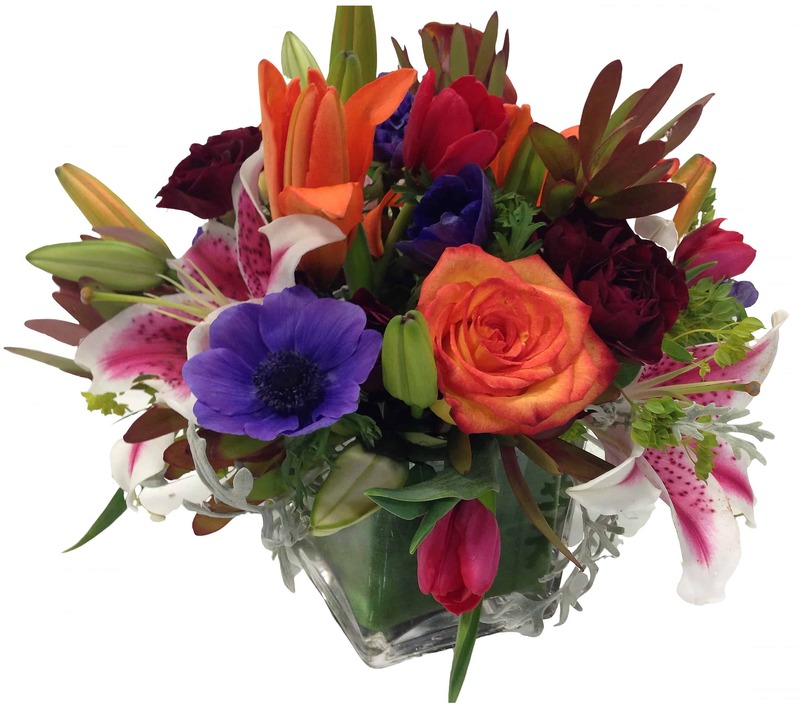 Let someone know that you are in the mood for a little romance or ready to celebrate with this exciting flower arrangement!